* ... RELAY FOR LIFE: Greg Holland over at Coldwell Banker reminded me that one of the most important fund raisers of the year, the Relay for Life Wine Tasting and Auction, will be held next weekend (March 13) at the Motor City Lexus dealership. This is the second year this event has been held and only 550 tickets will be sold. It's a terrific way to support a good cause and meet your neighbors, all while dining on some of Bakersfield's finest food and enjoying wine from 25 Central Coast wineries. Last year the event raised more than $37,000 for the Relay for Life and the American Cancer Society. Holland said tickets are $50 in advance and $60 at the door and are available all Coldwell Banker offices and at Imbibe Wine Merchants. Remember: it's next Saturday at the Lexus dealership and runs from 4 p.m. to 7 p.m. You can also call 661-747-6208 for tickets. Kudos to the Coldwell Banker team for coordinating this event.
. * ... REMEMBERING LOU ELLA'S: Susan Lewis is a former Bakersfield resident who now lives in Scottsdale, Az., who wrote to share her memories of the old Lou Ella's children's store on Baker Street. "My favorite thing there was the stock of Story Book Dolls. Every spring, the new dolls arrived in their polka dot dresses ... stacked along the north wall just behind the window display area. Lou Ella's is a part of my memory of my childhood... a good memory." 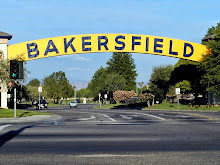 Susan left Bakersfield in 1958 but often returns and said she always drives down Baker Street. Another reader, Kelly Donovan, called Lou Ella's one of our "finest institutions." "My grandmother Mrs. Vincent Casper used to take me down and dress me in Lou Ella's finest. It was at Lou Ella's that I learned how to dress, how to appreciate a pulled-together look. Even as a very young girl, the minute we pulled her Thunderbird up into the parking lot I knew I was in for a wonderful treat.. One of the most precious memories I have is of my grandmother taking me down to purchase a layette before my son was born. Armanda and Brenda were there to help me feel special then, just as they always were." * ... ONE LEGACY: It looks like the recent golf tournament to raise money for One Legacy and Donate Life was a huge success. Preliminary proceeds from the raffle and auctions alone totals more than $70,000 and the entire event could raise up to $100,000, according to those involved. Former Pittsburgh Steeler and Foothill High School product Joey Porter donated two football jerseys, both bringing in $4,000 a pop. The event was held at Seven Oaks Country Club and put on my Lori Malkin. Lori's son, Jeff Johns, died in a car crash a year ago and on that same day became an organ and tissue donor. His organs saved five lives and his tissue donations healed 50 others. The recipient of a kidney was in attendance. Now that's an inspirational story. * ... FIRST FRIDAY: Only rain will be able to spoil the excitement around Friday Friday in the arts district. Make sure you check out the "Opening Doors to the Arts" exhibit in which downtown streets will have "public art" featuring colorfully painted old doors. 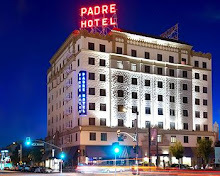 Make a night of it downtown, beginning with the multiple arts studios to dinner at one of the many downtown eateries: Uricchios Trattoria, Mama Roomba's, the Padre Hotel and Mexicali just to name a few. The "public art" will be on display only from 4 p.m. to 8 p.m. Also this weekend is the popular "Cioppino Feed" to fund the Bakersfield West Rotary Foundation, which has helped so many non-profits and charities over the years. This is always a huge event featuring the event's famous seafood cioppino stew and a lively auction. It will be held Saturday night at Leddy Hall on the campus of Garces Memorial High School. 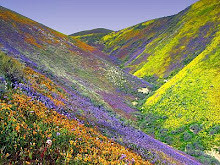 Contact Howdy Miller at Ticor Title for tickets, at 661-846-5606. 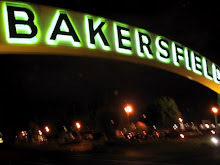 * ... BAKERSFIELDISMS: You know you're from Bakersfield when "Everyone always says they're going to leave, but you know that if you try, you will get sucked right back in."